SEO companies with clients in every industry jump on board. The technique becomes overused and it ruins it for everyone. 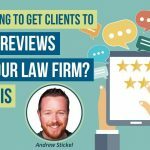 Recently I learned that an SEO technique that had worked well for my clients in the past was no longer working. Google now penalizes websites that use it. 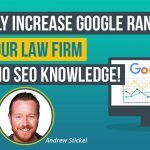 I help law firms improve their search rankings so when one of the attorney websites I manage was penalized in January, I had to figure out why. Google didn’t give a reason for the penalty other than there was an unnatural link. These links are common penalties for black hat SEO, or aggressive and unethical techniques. I use white hat SEO techniques for my clients, an ethical method that focuses on the audience. So, I had to find which link was now being flagged as an unnatural link or a black hat SEO link. The answer was a scholarship link. A few years ago scholarship links came on the scene as a way to get SEO juice for your website. Google assigned a high value to links from .edu websites, meaning colleges and universities. SEO companies took advantage of this and had their clients offer small scholarships for students in their client’s field. For example, an attorney would offer a $500 scholarship for law students. They would send the scholarship information to different schools. The school would add a link to the client’s website on their scholarship listings page. This was a great way to boost search rankings. Until Google caught on. Why Did Scholarship Links Stop Working For SEO? So many websites started using this method that the list of links on scholarship pages went from a few to a wall of text to scroll through. And Google noticed. Realizing that these scholarship links were being used for SEO, on Christmas Day, 2017, Google sent penalties to the companies that were doing this. When I discovered this was the reason my client had received a penalty I went in and disavowed multiple .edu links. I sent a reconsideration request and was approved. The manual penalty was then removed. Is The SEO Company You Hired Using Scholarship Links? 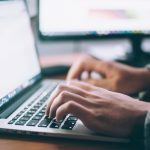 Good SEO companies understand that SEO techniques are constantly evolving. They stay on top of the changes. If the company you employed is still using scholarship links for your website, then it’s time to reevaluate. While .edu links can still be helpful for SEO, scholarship links are not. Address your concerns with the SEO company. If they insist that you need to keep the scholarship links, then it might be best to look for a new SEO company that understands the changing world of SEO techniques.